With a stage career spanning the years 1915 to 1953, Vivienne Segal appeared in numerous Broadway musicals and operettas; slender, beautiful, and photogenic, she was also a hit in the Ziegfeld Follies for two seasons in the mid-1920s and made a handful of films in the 1930s. 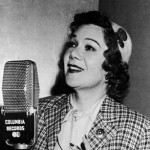 Yet the high point in her long career came near its end, when she created the part of Vera Simpson in the Rodgers and Hart musical Pal Joey (1940); she later sang on the 1950 cast album of the work and reprised her role in the successful revival of 1952. Born in Philadelphia April 19, 1897, she found herself on Broadway already in her teens, playing Mizzi in The Blue Paradise (1915), a musical set in Vienna and featuring Sigmund Romberg’s hit song “Auf Wiedersehn” sung as a duet at the end by the young Segal and Cecil Lean. The show had a respectable run of 356 performances. Segal sang more songs by Romberg in her next Broadway show, the short-lived operetta My Lady’s Glove (1917), and kept busy into the mid-1920s with revues and musicals: Miss 1917 (1917); Oh, Lady! Lady! (1918), with music by Jerome Kern and lyrics by P. G. Wodehouse and Guy Bolton; The Little Whopper (1919); The Yankee Princess (1922); and Adrienne (1923). As a member of the Ziegfeld Follies of 1924 and 1925, in which she shared the stage with W. C. Fields and Will Rogers, Segal evidently impressed the clientele and her boss; she was immortalized as “A Ziegfeld Girl” – bare-shouldered, her diaphanous drapery slipping off – in a pastel portrait by the Viennese-born artist Raphaël Kirchner. She soon returned to musicals and operettas, with starring roles in Castles in the Air (1926) and The Desert Song (1926), featuring music by Sigmund Romberg, with book and lyrics by Oscar Hammerstein II, Otto Harbach, and Frank Mandel. She played Constance Bonacieux in Friml’s musical The Three Musketeers (1928) and Nadina Popoff in a 1931 revival of The Chocolate Soldier. In 1938, she starred as Countess Peggy Palarffi in the Rodgers and Hart musical I Married an Angel, with choreography by George Balanchine. But it was in the Rodgers and Hart musical Pal Joey (1940) that she found her most lasting success, starring as the jaded socialite Vera Simpson opposite Gene Kelly as the manipulative heel Joey. Vera’s numbers include the world-weary love song “Bewitched, Bothered, and Bewildered” – since covered countless times, by artists as various as Mel Tormé and Sinéad O’Connor. 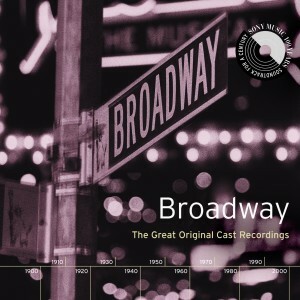 Columbia made a cast recording of the musical in 1950, with Segal as Vera and Harold Lang as Joey, and both artists starred in the 1952 revival on Broadway. Segal’s vocal delivery captures an earlier singing style in musical theater, charming and appropriate for the aging Vera. Segal’s other Broadway credits include A Connecticut Yankee (1943), Music in My Heart (1947), and Great to Be Alive! (1950). She died in Beverly Hills at the age of ninety-five.